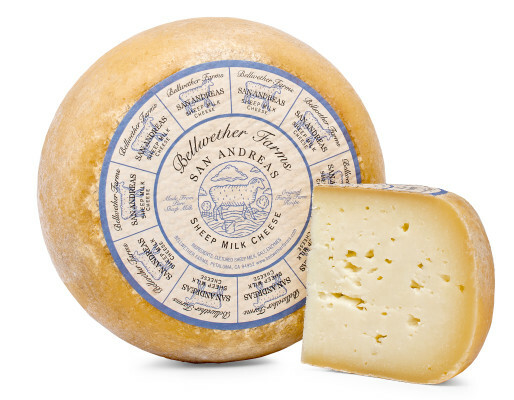 This raw sheep milk cheese is floral and grassy with nutty undertones. Our recipe was inspired by the aged sheep milk cheeses of Tuscany but has a smoother texture and less sharp or salty flavor. We named San Andreas after the earthquake fault that runs near our coastal farm. Pears & chestnut honey, toasted walnut bread, shaved over roasted vegetables and pasta.